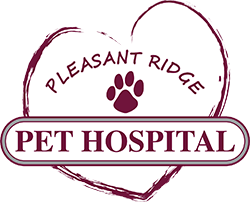 We have state of the art diagnostic tools that allow our staff to better diagnose your pet’s condition or illness. It is our commitment to stay on the cutting edge of diagnostic technology. Having these advanced diagnostic tools allows us to examine specific areas more closely and provide a quicker and more accurate diagnosis. We use many tools such as radiology, lab tests, and various other equipment and tests. To learn more about how we can help your pet with our diagnostic tools, contact us today at (513) 351-1730.